Vicki Lesage, an American from St. Louis, Missouri, finds herself newly single at 25. 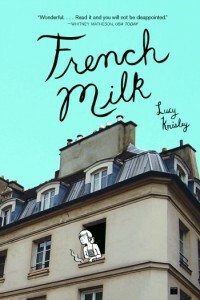 When she loses her job in an IT company, she decides it is the perfect time to move to France and start over. As soon as she arrives, she relishes the delicious food and rich culture. However, she soon finds out that making new friends is not as easy as she thought and that life in Paris can be expensive. Dating is also a bit tricky when you barely speak the language. But there is nothing the self-described party girl can’t handle. In this memoir, the first book in her Paris Confessions series, Vicki Lesage relates with humor her experiences with French bureaucracy and the challenges of being a foreigner in France. 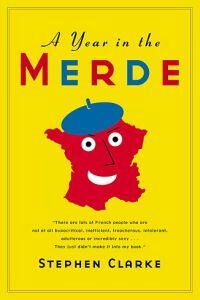 From the hassle of shopping with a credit card to the difficulties of adapting to the French way of working, the author always stays positive and upbeat. 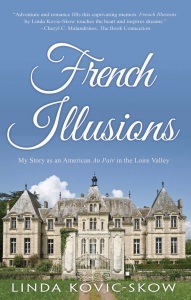 In fact, her love of France is evident in the book in spite of the country’s idiosyncracies. 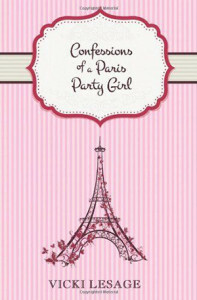 Confessions of a Paris Party Girl is a fun and entertaining read. In addition, I love the beautiful cover design. The only negative comment I would have is that there are a few errors in French here and there, but this shouldn’t bother the non-French-speaking readers. Confessions of a Paris Party Girl was sent to me for free in exchange for an honest review. About the author and her work: Vicki Lesage’s Website. 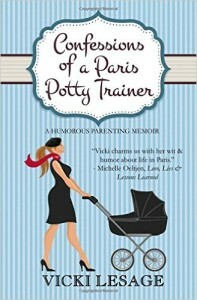 The book is based on the blog posts Vicki Lesage wrote about her experience living in Paris. Several people told the author she looks like Scarlett Johansson. Her favorite French dish is the raclette (cheese, baked potatoes and cold cuts). Vicki Lesage co-founded a publishing company called Velvet Morning Press with author Adria J. Cimino.